A classic: this week's Private Eye cover. The picture is simply a facsimile of the current magazine cover (issue no.1124). 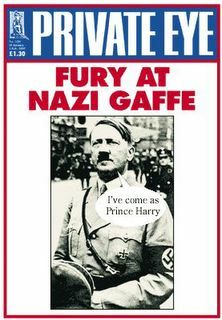 You can also view the cover online on Private Eye's website.